A Stylish and Modern Apartment Located in a Quiet Cul-De-Sac. This stunning apartment is virtually new and ideally located in a quiet cul-de-sac within walking distance to the popular area of Ashley Cross. 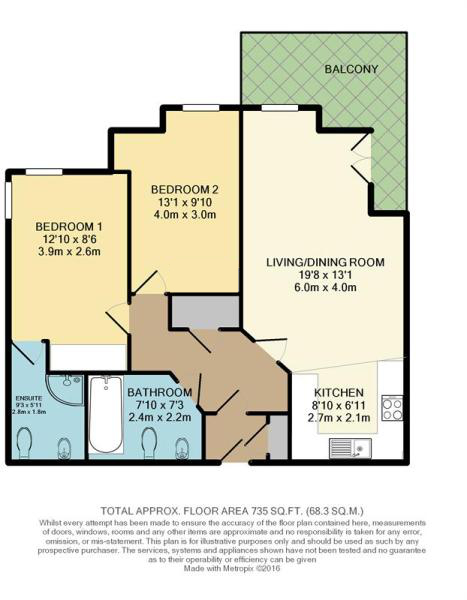 Two double bedrooms with ensuite to Master are complimented by a large open plan living area and private patio area. Share of Freehold, allocated underground parking and remainder of a long lease ensure this property ticks all the boxes. Inverclyde House is a modern development built in circa 2016, set at the end of a quiet cul-de-sac it has been built to a high specification and is located within walking distance to the prestigious area of Ashley Cross with its multiple high end Bistro's and Bars. There is also easy access to Poole Park ,Quay and the shops in Poole High Street and the Dolphin Centre. 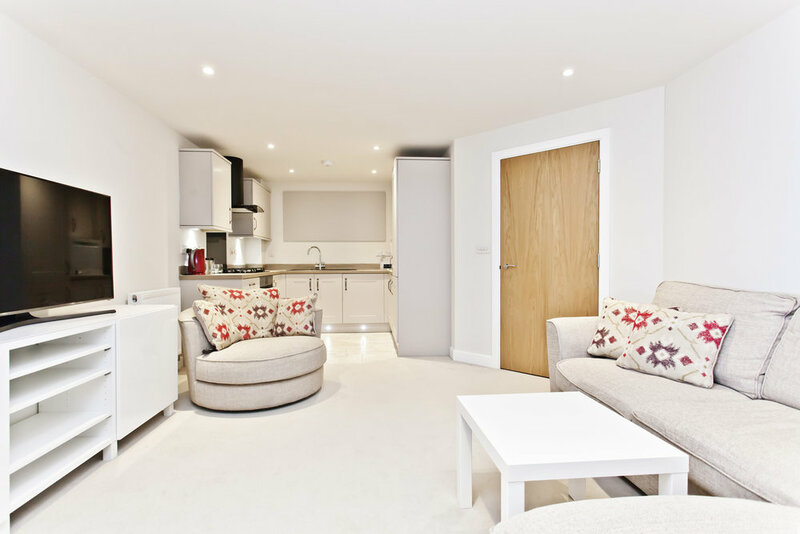 This modern attractive looking development comes with underground parking secured by an electric garage door, this property is allocated one parking space. There is also plenty of visitor parking above ground and plenty of on road parking as its a lovely quiet road. 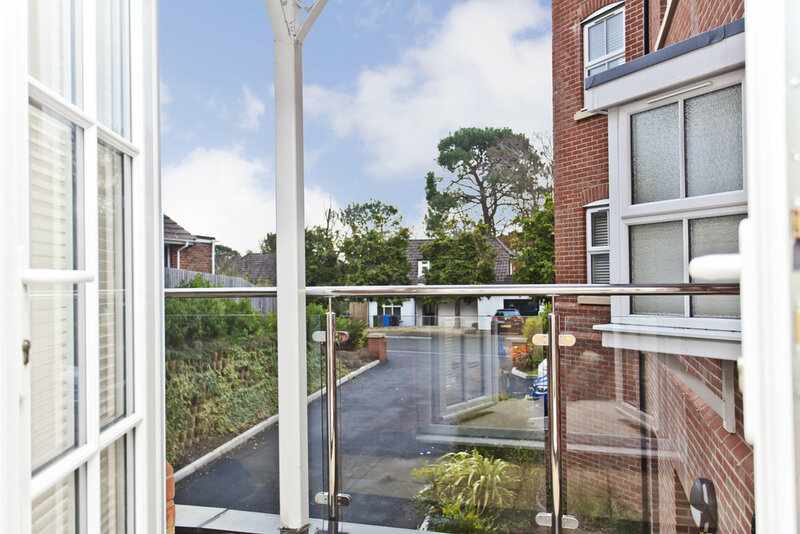 As you enter the main entrance you will be impressed by the immaculate presentation of the communal areas, there is a lift to all floors and down to the underground garage. The apartment itself is located on the ground floor and on entering the property through the private front door you get the feeling of space instantly, the property is neutral in decor allowing you to move straight in and put your own style and taste into it. The living area is open plan and very well designed to give adequate segregation for the kitchen area, dining and lounge area to relax in. 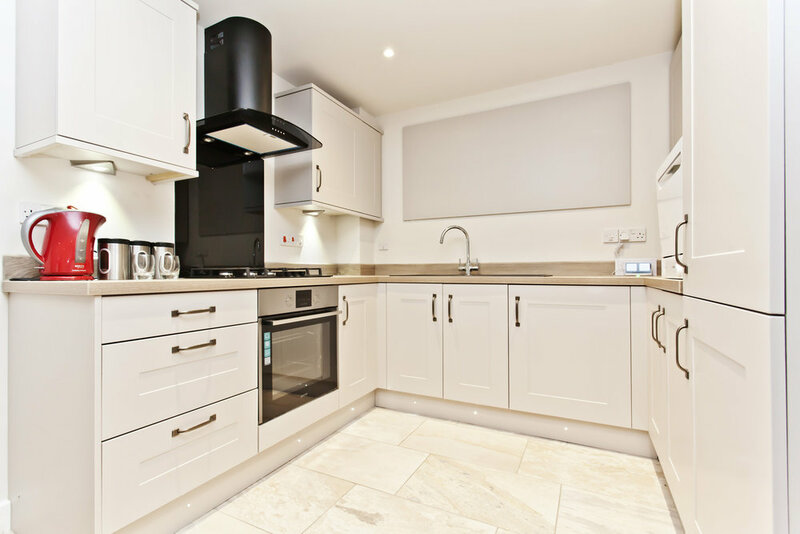 The kitchen is ultra modern with matt finish eye and baseline units providing extensive storage options along with plenty of work top space surrounding three of the walls. Integrated appliances include electric oven, gas hob with overhead extractor canopy, fridge/freezer and washer/dryer with counter top dishwasher. The main living area gives ample space to have a dining area at one end with the comfy sofas and entertainment equipment at the other. The lounge/diner gives access to the private south facing patio area through french doors, a perfect space to put a bistro set and relax after a long day. 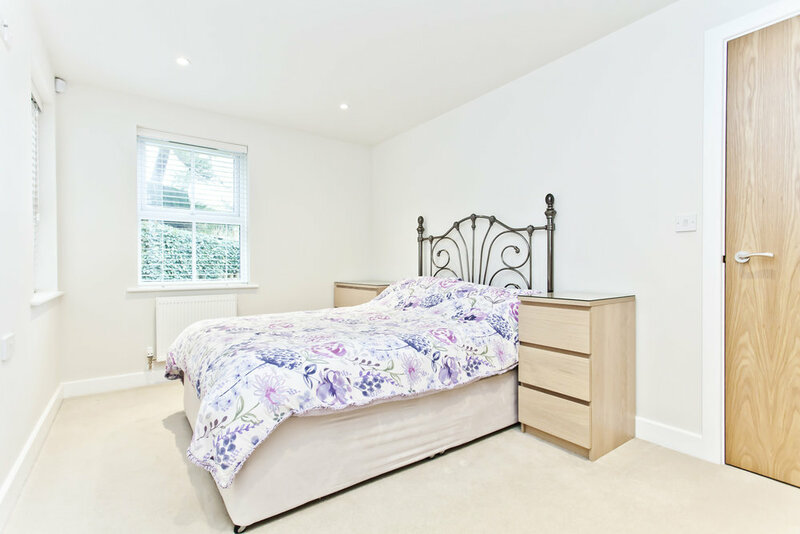 The 2 double bedrooms are both generous in size with the Master having the added benefit of two built in double wardrobes and large en-suite shower room with modern accompaniments. There is also a further family size bathroom with p-shaped bath and wall mounted shower, furnished with sleek stylish tiles delivering an ultra modern look. 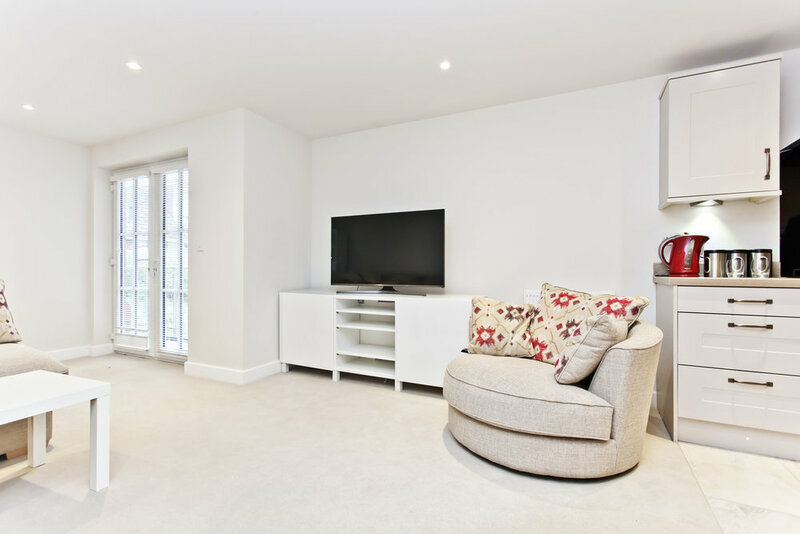 The apartment comes equipped with added high tech features including ethernet and coaxial points in all rooms, Cable TV connections, a network hub to enable full networking of the property, Alarm system and the all important video entry system. 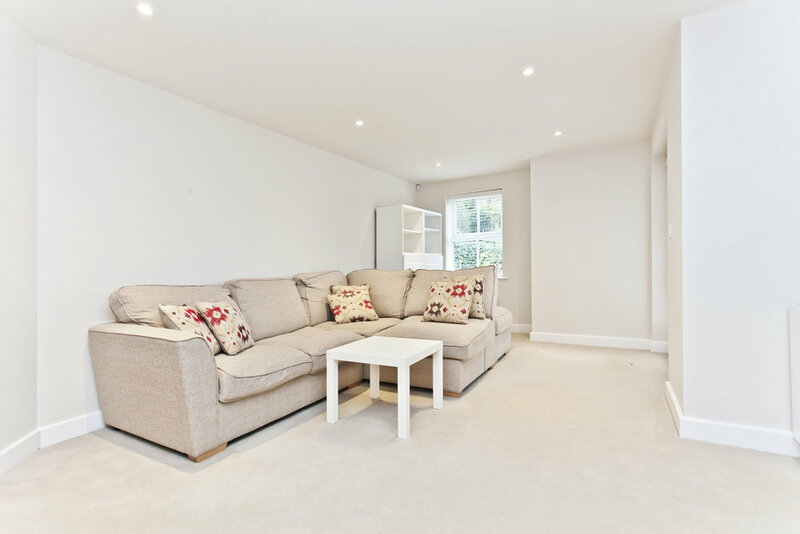 This stylish and modern apartment has a lot to offer and gives the opportunity to acquire a new home in a quiet location with easy access to an array of amenities and transport links. The property is share of freehold with the remainder of a 999 year lease along with the remaining new build warranty. This property has the advantage of being able to move straight in and put your own touch on things.